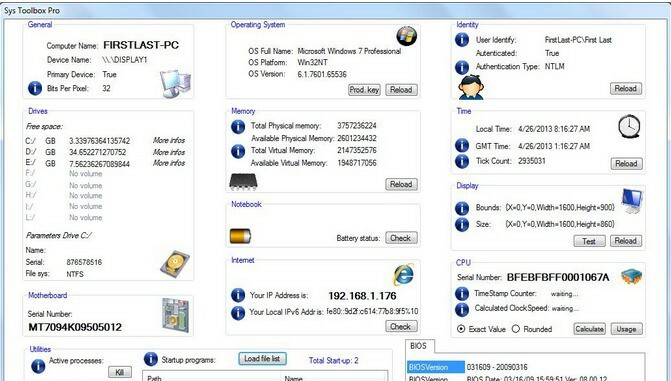 Checking Status of your Windows PC is not Different as Checking Properties but in this advance status you may see Different Things Happening On Your Computer As Well as Info on Different Components with Temperature Rating too. Must See: How to Partition on Windows? 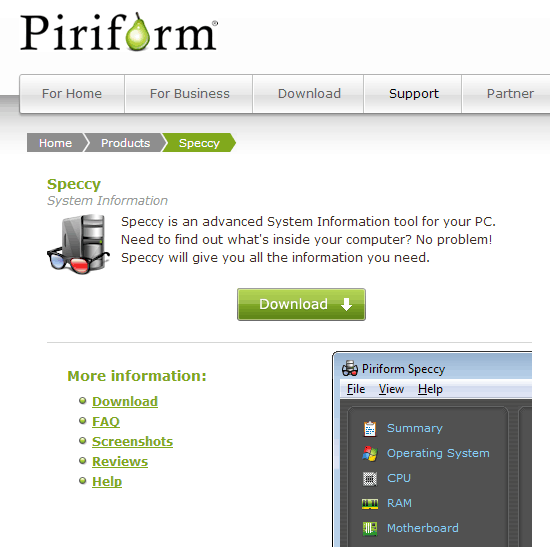 >> This is simple Info Tool Available on Windows System As Default. Although you get proper Info with this tool but it lacks some of the features as well. So we have other Tools Available too. >> This is Latest and Pro Version available free to Download tool that shows Huge Info on Your System. It features Showing Status on OS, Motherboard, BIOS Info and Even Internet Connection too. With Systoolbox You may Retrieve your Windows Product Key Too. SysToolBox shows Info about Current Running Processes too with options of Killing them too. 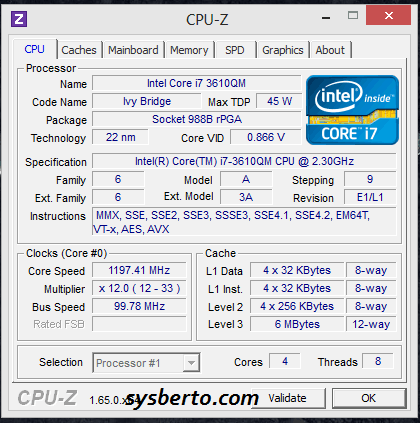 CPU: Detailed info on CPU, CORE, Socket type, etc. Caches: All the info on Caches available on Processor. Mainboard: Includes Info on model, Chipset, BIOS and graphics. Memory: Info On RAM, RAM Size and Frequency Shown Here. SPD: Displays Info About The memory Slots Available on the mainboard. Graphics: As Tab’s name is Graphics, it will show all the detailed info on Graphic Card. Don’t Install any other Extra app as CPU-Z will try to ask you once. >> This is again a great tool to explore your Status of System in Advanced way. The User interface of Speccy is better than CPU-Z but the Size is Bigger than it like about ~5MB. Speccy arranges all info in groups tabs in Vertical Manner It displays info about the Operating System, CPU, RAM, Motherboard, Graphics Card, Hard Drives, Optical Drives,etc. These are Simple Tools that can help you to check your System. Which Tool you use to check system info?